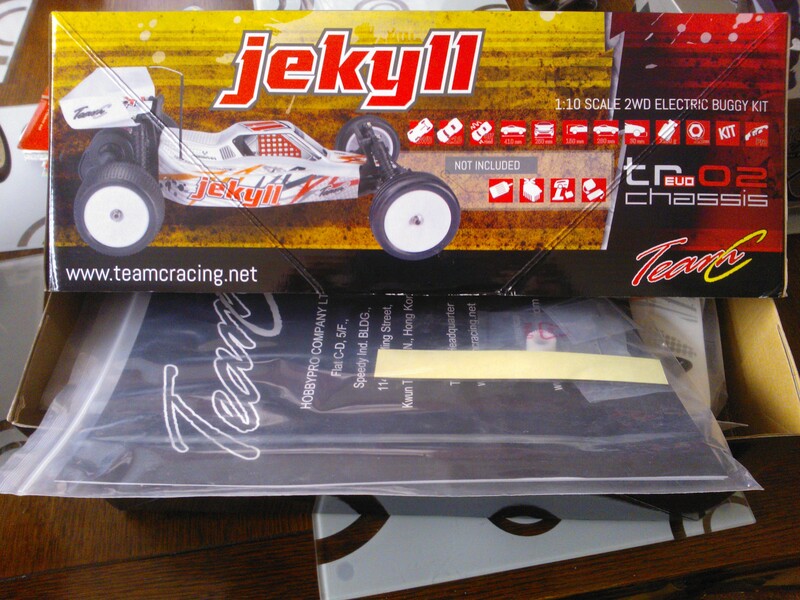 Here you can see the Jekyll doing a little wall riding. This is with a 7.2v battery pack. 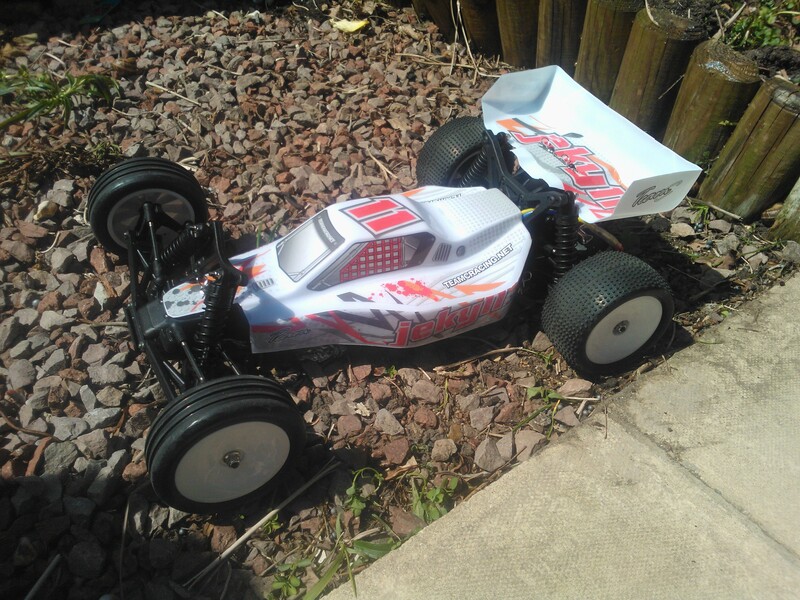 When I first saw this kit on modelsport I was intrigued. It was only £39 and I wanted to know just how good a car you would get for the price. 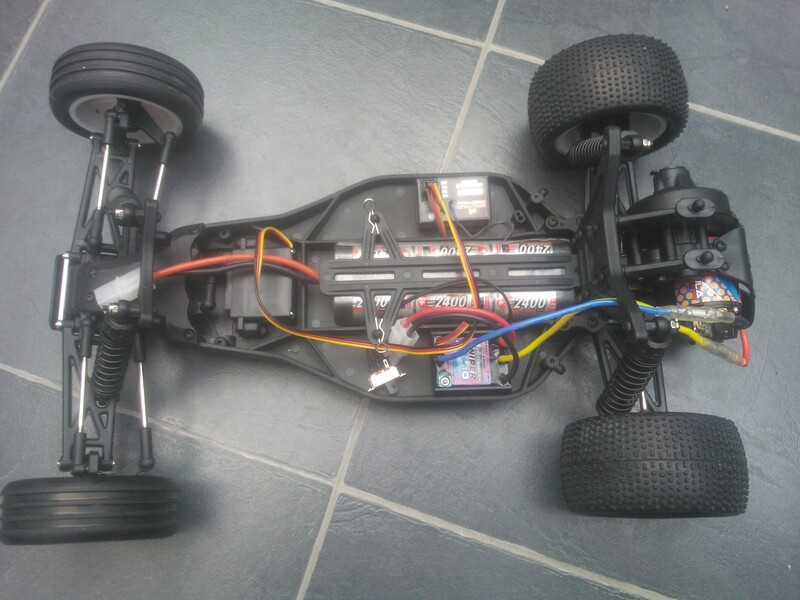 You have to supply your own Electronic Speed Controller, Servo, Receiver and Motor bringing the total minimum build price to around £70- £80. I spent a bit more as I wanted to but some more decent bits in it. 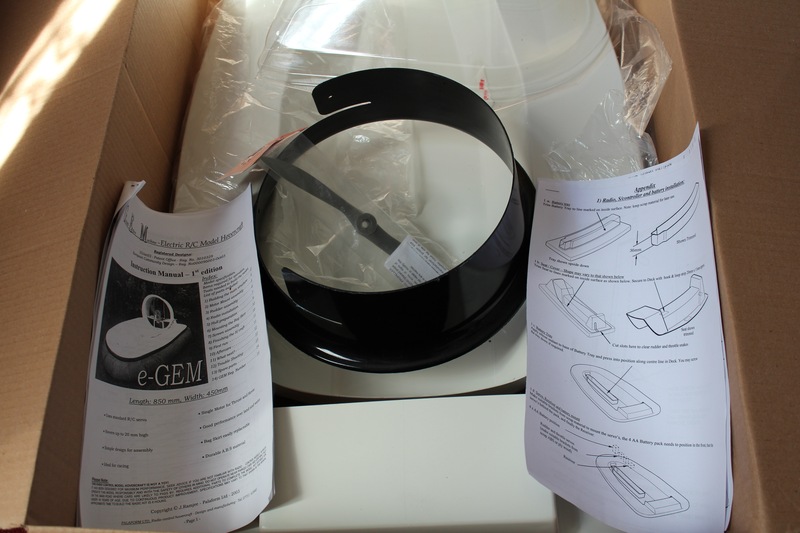 The packaging and parts were a decent quality considering the price and the manual was easy to follow. This would make a nice inexpensive first kit. 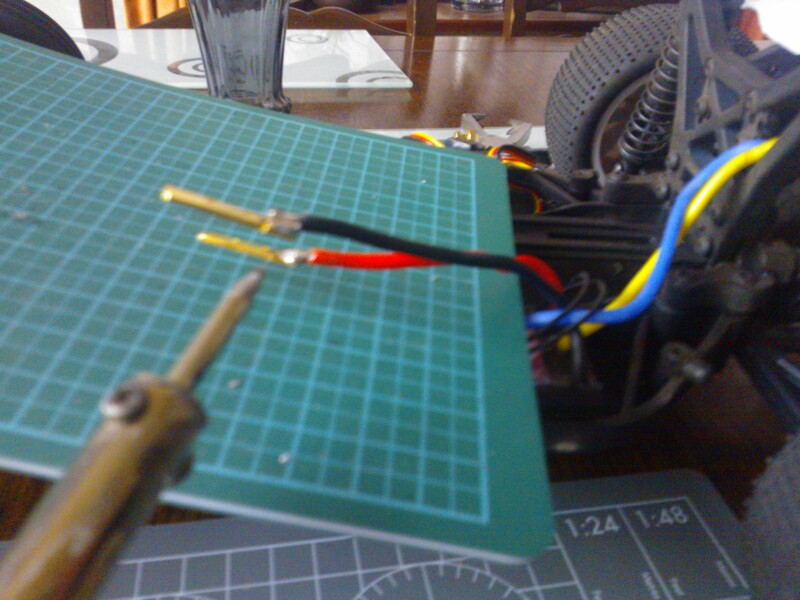 It seems I made a bad choice with the esc as the 13×3 motor seems to overheat it very easily, I am looking into a solution for that. On top of this I melted a battery connector to the esc so I ordered some traxxas connectors to deal with the current. 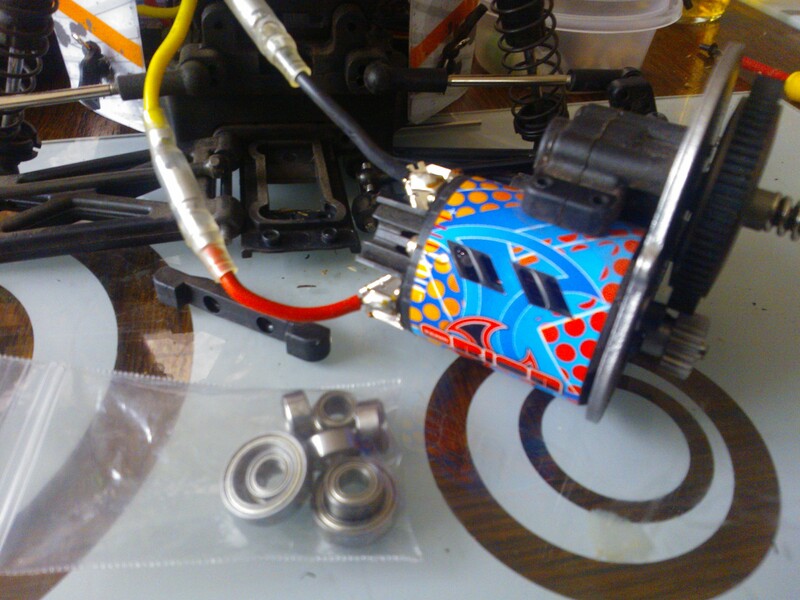 I also ordered a set of UK buggy bearings to ball race the kit. These replaced the bronze bushings that come as standard. I do intend to replace my battery connectors with deans but the reason I went with a traxxas in this instance is I got this rocket pack battery in a sale. Its a 5100Mah 8.4 V Orion Rocket pack and really makes the thing go. 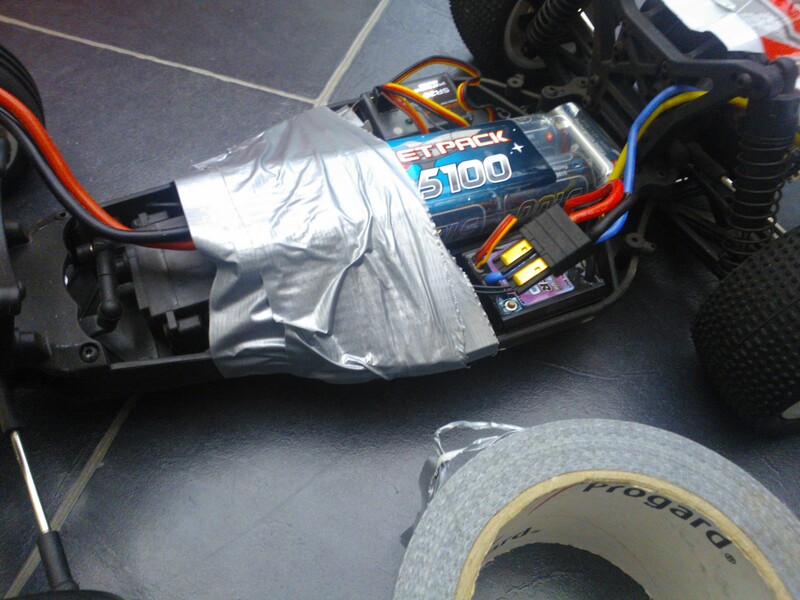 The bad thing is its too big for the battery compartment so I have to tape it in each time! In summary this kit is easy to build, robust and well its cheap enough to buy a second one for a complete set of spare parts. I will upload some videos of it in action soon! Today I took my Twin Hammers to the local skate park. It gets some nice height on the jump there, much more than my other cars. Here is a highlight clip from the session. 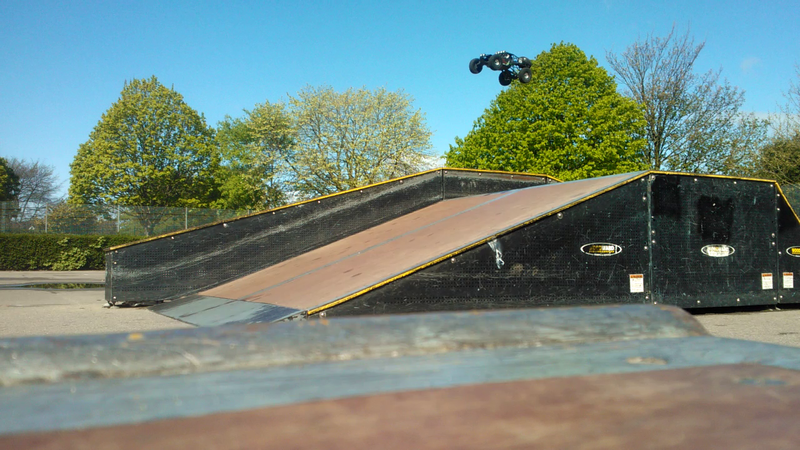 I have much more video footage also including my micro short course truck to upload later.